Easter Choral Meeting Prague is a non-competing choral festival open for choirs and choral groups of all types without any limits. 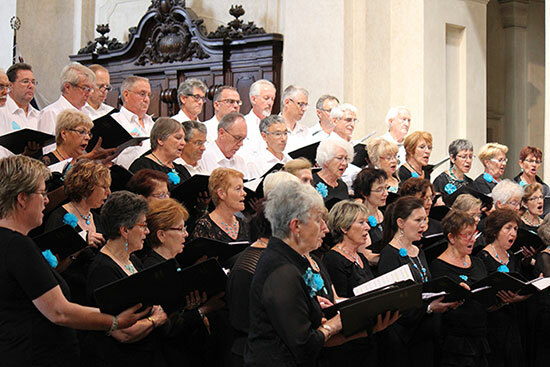 For several April and May weekends including the Easter time participating choirs will have a great chance to listen to other choirs´ singing, make new friends among singers as well as choral music fans and sing together. Choral members will have an opportunity to perform at Easter Market on the Old Town Square, the heart of Prague, or at farmer´s markets in the city centre in one of the most beautiful cities in Europe with rich history and musical traditions. Last not least all visitors will learn about Czech Easter traditions as well as Czech history during sightseeing walks in the historic centre of Prague. Furthermore there will be two public performances in Prague´s churches, one of them will be the famous Baroque St. Nicholaus church on the Old Town Square. Highlights of the meetings will be a common concert of all participating choirs. A unique experience will be to see Prague during a boat trip on Vltava river or a visit of a black light theatre performance. We will be pleased to send you participation conditions, festival packages and an entry form. Within festival packages we offer accommodation for 2 – 4 nights, we can also arrange for a longer stay.